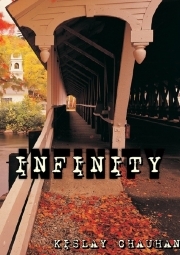 INFINITY stands for creation of existing observation or ability to feel unmodified constant objects through heart, just indispensable for the poet a continuous wider perception, through characters of sentiments and illustration of external life with sense of nature. It incites the impressive imagination through poet’s heart and mind. Narrative composition, reflection to acquaint feelings with enumerated forms of words structured greatly. Situations and values assist to find the original power behind poems. This book is a mark for lastly human sensibility that accords energy of immortality and spirit. The prompt mind turns into shape of words, every thought exercised to generate qualities of work. This book is created by the materials supplied through heart and moulds of determined life. INFINITY undertakes the words that bear ecstasy, a present of spirituality, justice with emotions and aligned degrees of light and shine of soul. Kislay Chauhan is a writer who has degree in Computer Science. His poems have been published in many reviews, journals and magazines.